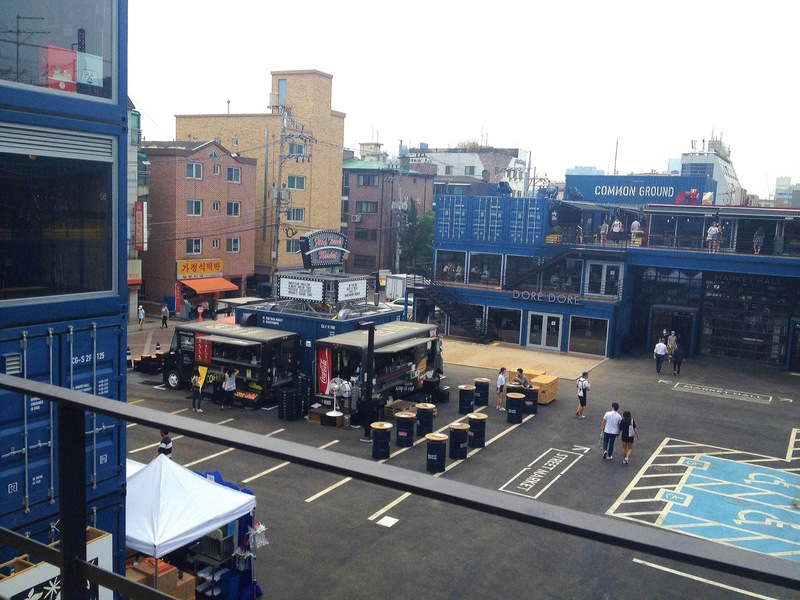 A couple weeks ago I posted about the new shipping container complex in Seoul’s Konkuk University district called Common Ground. I have since returned to try their food trucks and see what they have to offer. 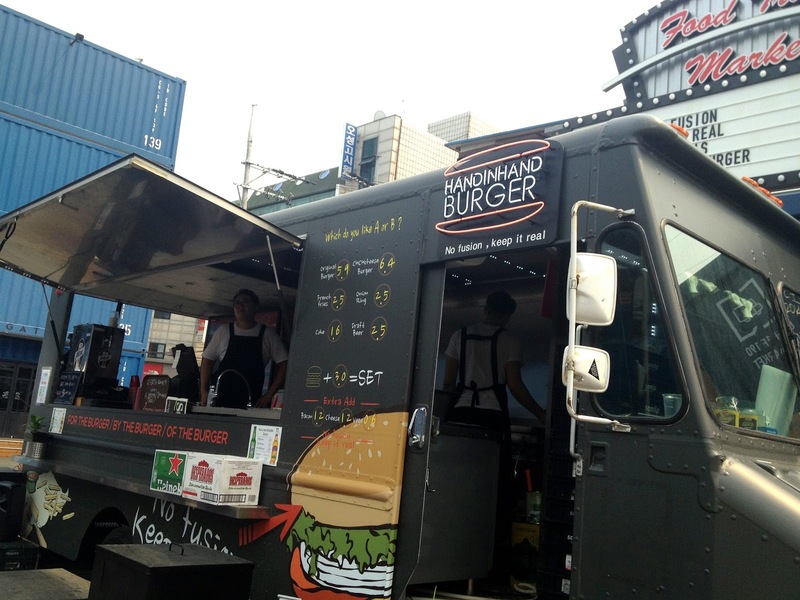 I’ve been in Asia for a long time now and missed out on the rise of trendy food trucks in the West. I’ve had my fair share of food served out of a van, truck, or other mode of transportation, but the hip fusion food truck craze has been fun to watch. Not cheap food, by any means, but usually they serve up something unique and original. When I saw the food trucks at Common Ground I knew I had to try them and see if they wowed. We couldn’t decide between burgers or fusion Mexican so we opted for both. The Hand in Hand Hamburger truck left a lot to be desired. We split the Original Burger (5,900won). It had all the fixing you would want on a burger, but the actual burger patty was nothing special. It was a bit undercooked for my taste (I don’t like pink hamburger meat) and it was far from handmade. 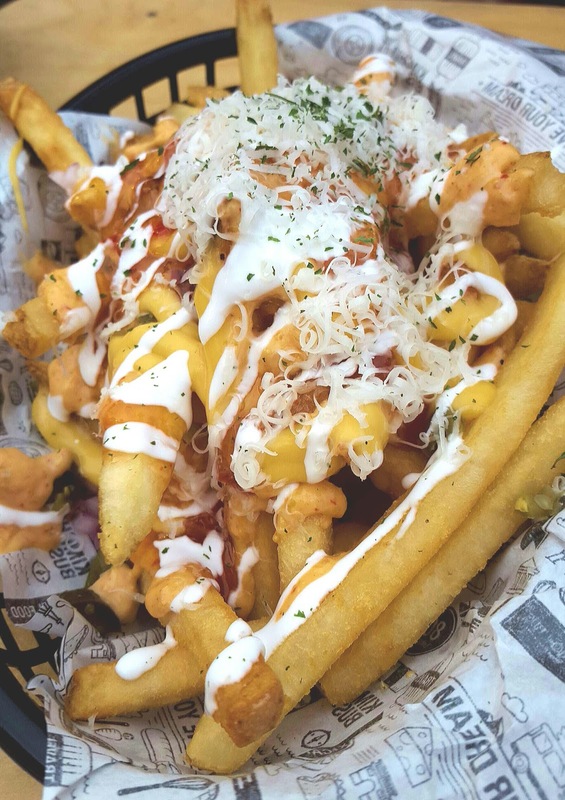 The fries looked good, but we opted for the fusion fries at the Mexican food truck instead. I would skip the burger and do fusion (or hit up The Booth for pizza instead). 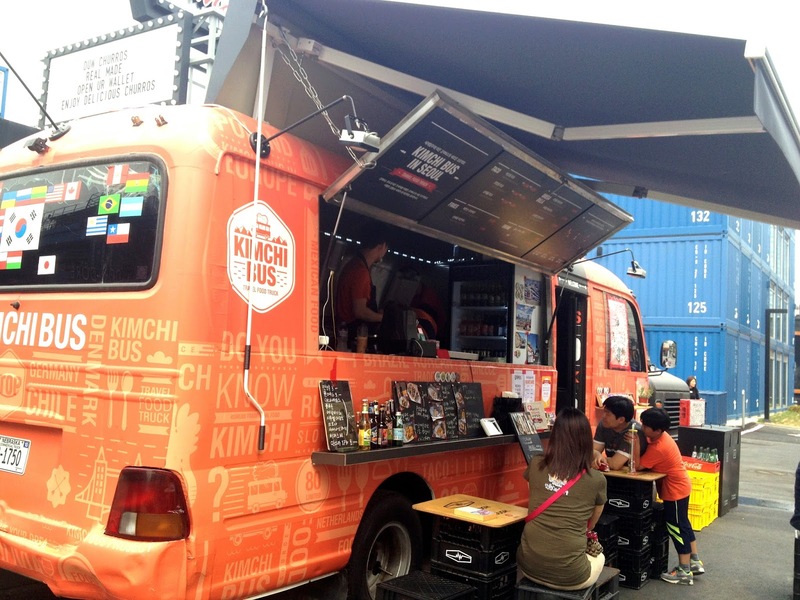 The Kimchi Bus was the winner! It is fusion Korean Mexican so the fare is unusual but delicious. I don’t know how the flavors work, but they do. Don’t let the combinations deter you! 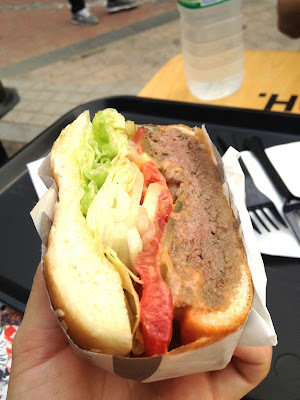 The fries (10,000won for a basket) were a medley of everything. 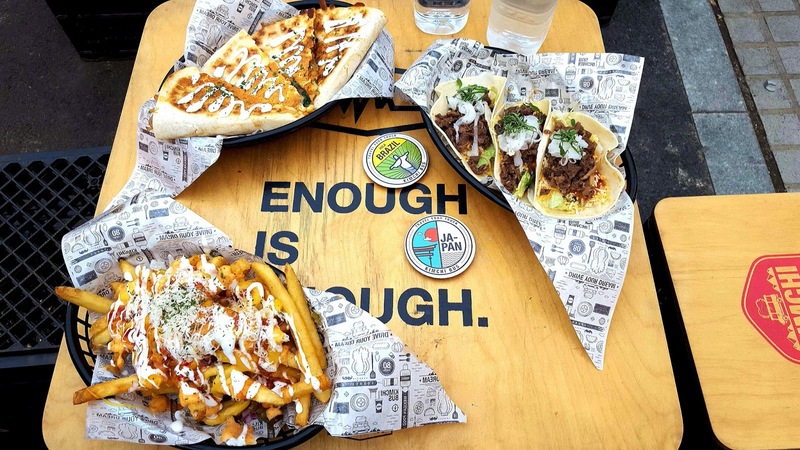 I can’t even describe everything that is on them as there are a few different sauces and toppings (cheese, chili sauce, sour cream, kimchi, jalapenos, and onions to name a few) but they come together as something really delicious. Savory, spicy, and a little salty sweet, I will be going back for more.The fries themselves were crispy and well seasoned. 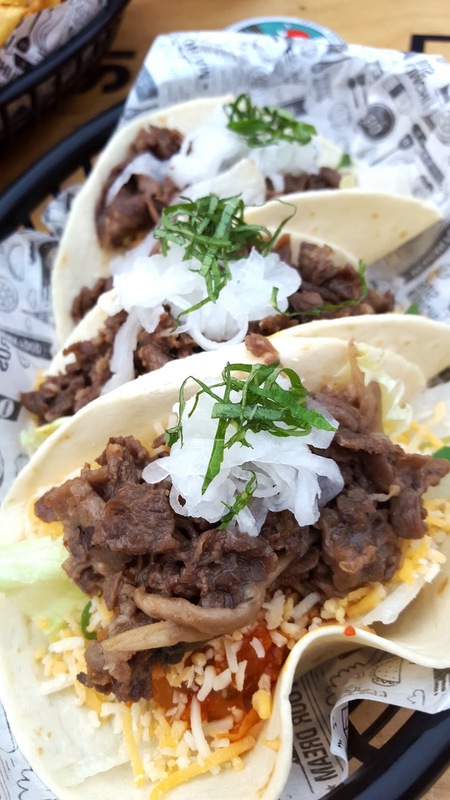 We also got the bulgogi tacos (3 for 8,000 won), made with sweet Korean bulgogi, salsa, lettuce, cheese, and picked onion (or it may have been radish). The tortilla was soft and fresh and the ingredients were excellent. They also offer pork tacos and chicken with mango salsa tacos. Lastly, for quesadillas (10-11,000 won) they offered three choices: bacon mac and cheese, Korean japchae noodles, and kimchi bulgogi. We tried the Korean japchae noodles. It was an interesting mix of noodles, cheese, and kimchi wrapped up and grilled in tortilla. I didn’t think I’d like it but it was fun to try. 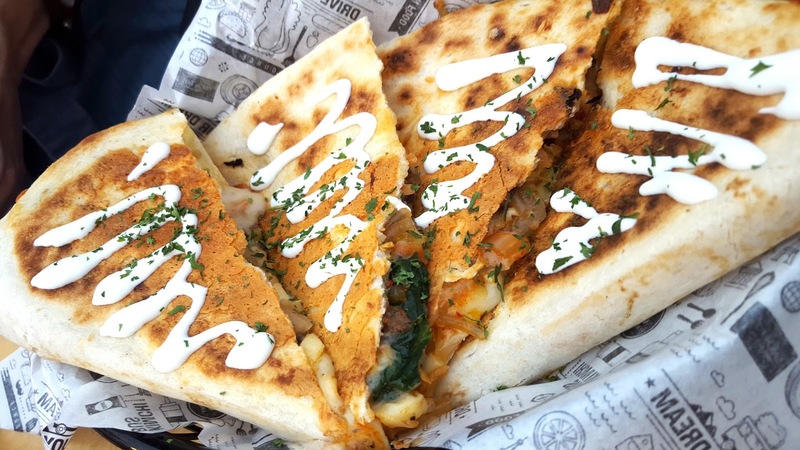 I don’t know if I’d order this quesadilla again because the others look delicious, too, but if you want something unique when visiting Seoul, give this a try! I thought the prices for the portions were fair and would definitely go back for more. 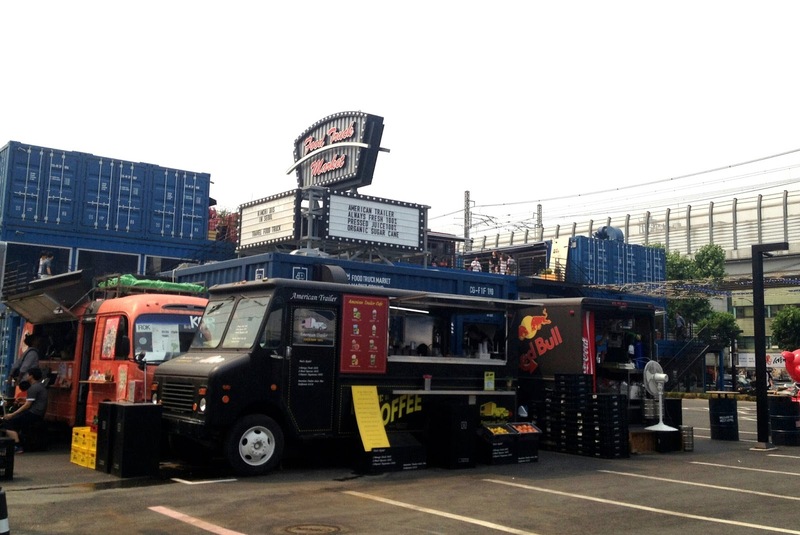 If food trucks aren’t your style, they also offer a variety of restaurants including Korean, Thai, Chinese, and a NY style pizzeria. Check it out and hope you enjoy it as much as I did! 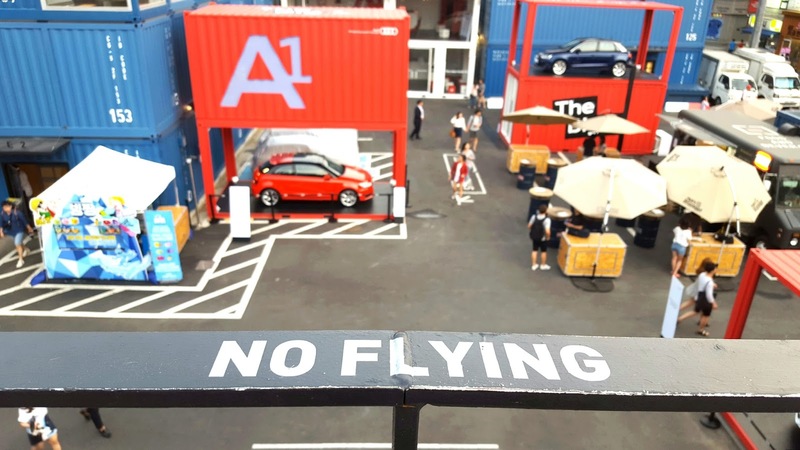 you can’t miss it (커먼그라운드). The complex will be on your left. Next Post Don’t Change the Channel! I’m on YouTube!